Zach Hyman paused briefly before responding to the question about teammate Frederik Andersen. How he chose to answer it showed just how much respect the centre has for No. 31. What makes Frederik Andersen the ideal teammate on and off the ice? 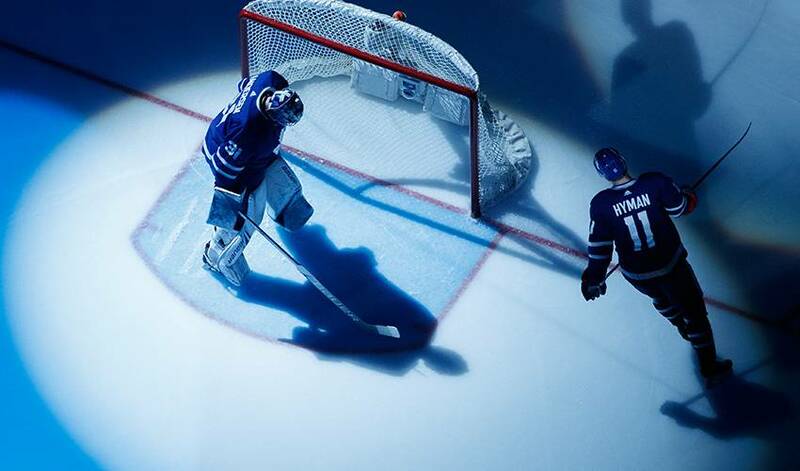 Andersen, who came to the Maple Leafs via trade with Anaheim on June 20, 2016, has played a major role in Toronto’s ascent in the Eastern Conference standings the past two campaigns. In 2016-17, his first season in Toronto, the native of Herning, Denmark posted 33 wins and a 2.67 goals-against average, while facing 1,883 shots. This year, Andersen has already eclipsed the four shutouts he recorded last season and has 33 wins again, two shy of the career-best 35 he put up in 2014-15 with Anaheim. Selected by Carolina in the seventh round (No. 187) in the 2010 NHL Draft, Andersen made the decision not to sign – Cam Ward had solidified the No. 1 role – and remained in Europe. Two years later, the Ducks took Andersen in the third round (No. 87) in the 2012 NHL Entry Draft. He made his NHL debut on Oct. 20, 2013, replacing Jonas Hiller to start the second period in a 6-3 win against Dallas, blanking the Stars over his two periods with 24 saves. Andersen eventually took over the starting role in Anaheim and fashioned a 35-12-5 record in 2014-15, with a 2.38 GAA , to help the Ducks make it to the 2015 Western Conference Finals. March 3, 2015, he notched his 50th NHL victory, tying former Montreal Canadiens Hall of Fame goaltender Bill Durnan's record as the fastest goaltender to reach the 50-victory mark in NHL history. In 2015-16, Andersen and John Gibson won the William M. Jennings Trophy, awarded to the team that allowed the fewest goals during the regular season. And so is the man behind the mask. When it comes to a certain part of his life outside of hockey, Zach Hyman does it by the book.